After receiving less than useful or exciting gifts from the members of my family in the past, I implemented a strictly enforced rule that forbids to get me any photography related presets. But receiving socks and pajamas year after year is boring. This year I decided to put together a list of gift ideas to help our wives, girlfriends, husbands and boyfriends to find something special for us. I do not expect or want for our loved ones to buy us a new lens or a tripod but something inexpensive and fun. 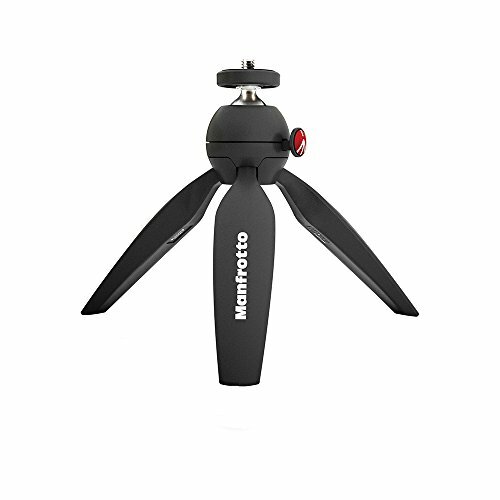 Photographers with compact cameras don’t have to look far to find the perfect tripod—the Manfrotto Mini Tripod. Lightweight and portable measuring 7.3 inches and weighing 8.2 ounces, the Manfrotto Tripod offers excellent stability with its rubber feet as well as a new push-button mechanism that allows photographers to lock or release the ball head with one hand. 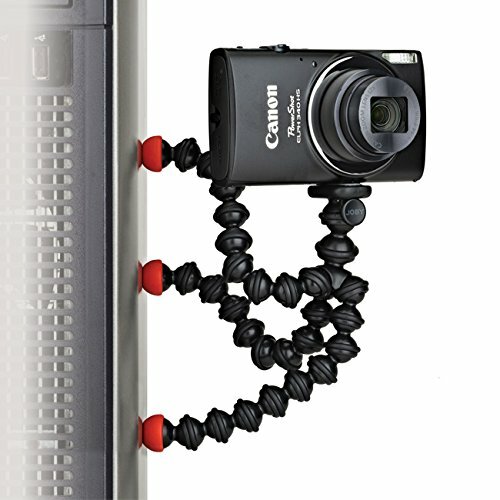 With a comfort grip, its large screw thread and a maximum load capacity of 2.2 pounds, the tripod is great for compact cameras, entry-level DSLRS and smartphones. 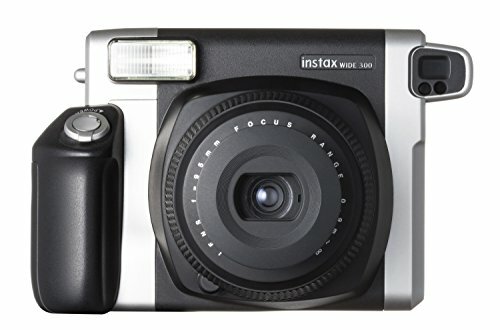 Another modern version of the Polaroid camera, the Fujifilm Instax Wide 300 Instant Film Camera is a great gift for photographers who love the instant gratification of seeing their photographs in seconds. Featuring a close-up lens that’s ideal for taking selfies, the Fujifilm Instax is packed with features like the automatic flash, the tripod socket, the real image finder and the lens ring dial with the focus zone setting. A must-have on your list especially for get-togethers with friends, don’t forget to add Instax Wide and Instax Mini Film to the list for the best results! JOBY Wrist Strap for DSLR and Mirrorless Professional Cameras. The Joby UltraFit Hand Strap with UltraPlate is a great gift for any photographer who values comfort and versatility. Designed for DSLR and mirrorless cameras, the UltraFit Strap conforms to the hand with its lightweight design, eliminates bulkiness, and gives photographers a firm grip. Beyond comfort, the strap adds function with its built-in Arca-Swiss baseplate that makes it easy to transition between handheld and tripod shooting with its universal fit for most tripods. Weighing only 3.5 ounces, it promises to support the heaviest DSLR camera with zoom lens and battery grip while providing tripod stability, which makes it a great gift for photographers of any skill level. Easily one of the most popular bags on the market, the Backpack Bag by Altura for Camera and Lens brings a new meaning to adventure with its function and style. 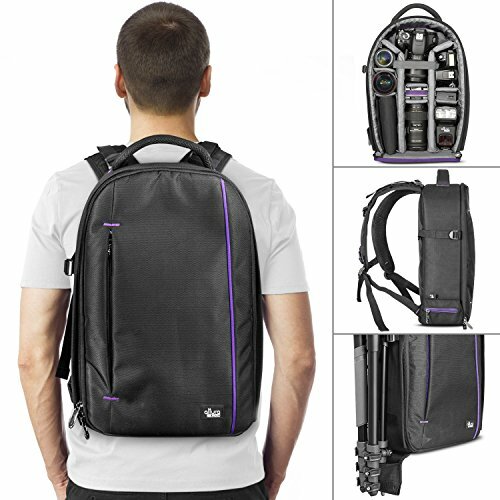 Part of The Wanderer Series, the backpack fits one DSLR camera with an attached lens as well as four to five additional lenses, a tripod or monopod, and a shoe-mount flash. Its padded slip-pocket offers enough space for a 14-inch laptop, which makes editing your photos even easier on the go with your laptop always within reach. Made of weather-resistant nylon with reinforced stitching, if you don’t love the bag after 90 days, the manufacturer offers a 100% money-back guarantee! 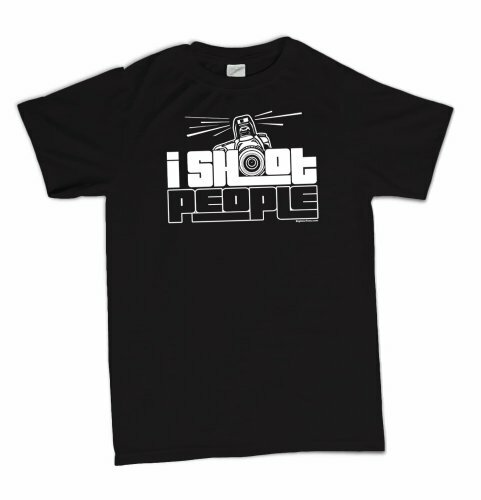 Another fun, whimsical and cute photography gift, the “I Shoot People” novelty t-shirt is perfect for the lighthearted photographer. Made of 100% pre-shrunk cotton and machine washable, the screen-printed t-shirt is available in men’s, women’s and youth sizes with a money-back, hassle-free guarantee from the supplier that you’ll love it! If you’re looking to add quality audio to your videos, look no further than the Rode VideoMicro Compact On-Camera Microphone. Compatible with a wide range of cameras, the directional VideoMicro microphone eliminates distracting noise to ensure top-quality, natural audio. 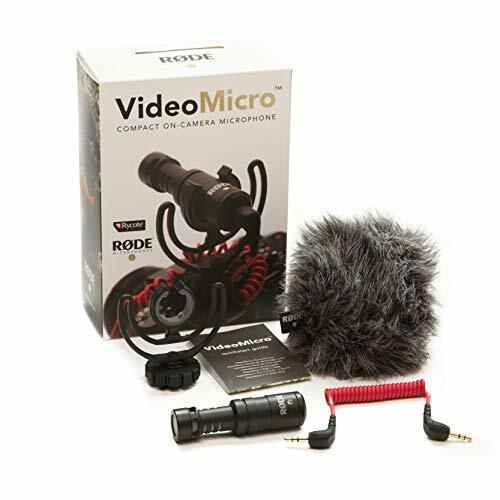 Made of durable thermo-plastic with an all-metal microphone body and guaranteed to be virtually indestructible, the VideoMicro comes with a two-year extended warranty as well as a shock mount and a deluxe furry windshield mount. Promising crystal-clear audio for videos, the Rode VideoMicro makes a great gift for photographers and videographers! 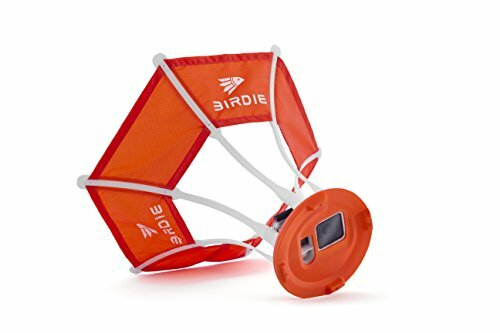 Shake things up with this super cool photography gift that brings an entirely new meaning to “Watch the Birdie!” The Birdie-Make Your Camera Fly attachment takes your photos to new heights when you attach the Birdie to your GoPro. Offering a new perspective from the sky above, the Birdie is light, easy to assemble and disassemble, and floats, which makes it ideal for every outing whether you’re at the beach or the pool, on a bike ride or out for a hike. 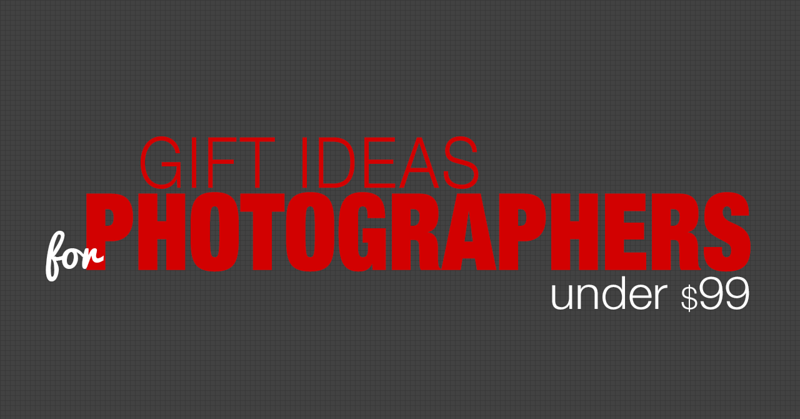 What’s the perfect gift to get a photographer who already has it all? 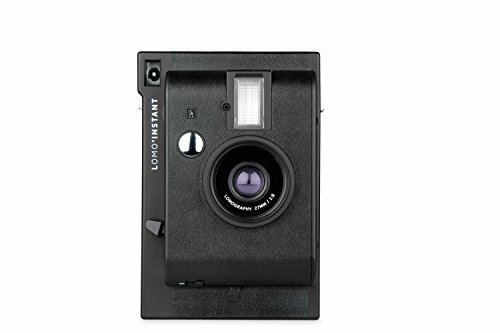 The Lomography Lomo Instant Camera should be at the top of your gift-buying list! Praised as a “timeless memory maker,” the Lomo Instant Camera offers an ultra-advanced lens system and the largest aperture setting in the world as well as three shooting modes that guarantee beautiful images in any condition at the click of a button! Other features include its long exposure shooting and unlimited multiple exposure shooting as well as color gels and a built-in mirror to boost your selfie game! From the five-star reviews on Amazon to the latest craze in instant cameras, the Lomo Instant is a great gift for photographers—just don’t forget to complete the gift with Fuji’s Instax Mini Instant Film! 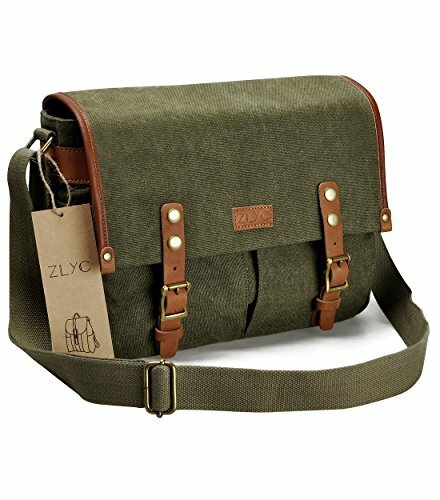 Carry your gear in style with the ZLYC Vintage Style DSLR SLR Canvas Camera Shoulder Bag. Complete with a shockproof, removable padded insert, the shoulder bag combines both style and function with its array of pockets perfect for a camera, two lenses and various small parts. Handmade in canvas and genuine leather, this is a stylish gift for photographers of all ages! When it comes to compact and lightweight, the Neewer Carbon Fiber Tripod raises the bar weighing in at only 1.76 pounds and measuring 9.4 inches long. The perfect gift for photographers looking for a packable yet sturdy option and comes with a carrying case and a shoulder strap as well as an adjustable center column, rubberized and weather-resistant locks, and reverse folding legs that make it an easy addition to any small backpack or messenger bag. It’s perfect for point and shoot, compact DSLR, and mirrorless cameras! Are you interested in creating time lapse videos or stunning panoramic stills? 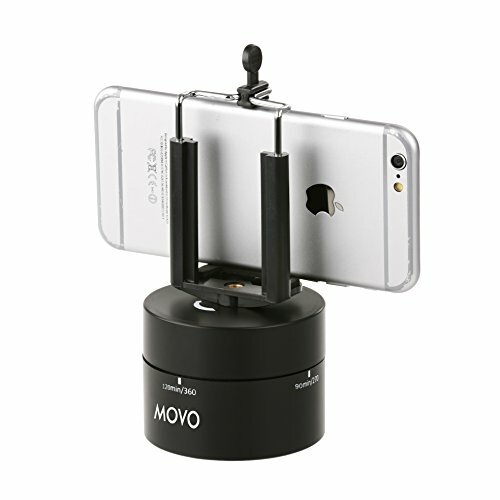 Photographers can’t get enough of the Movo Photo Panoramic Time Lapse Tripod Head that creates a 360-degree swivel for GoPro cameras, smart phones, and cameras. Ideal for creating the perfect time lapse or panorama, the Panoramic Tripod Head attaches directly to the camera and can then be attached to a tripod or placed on a flat surface for use. Using a sophisticated timer mechanism that doesn’t require batteries, the Tripod Head is an excellent addition to any photographer’s gadgets and gear! Yet another cute gift for photographers is the Cute Mini DSLR Flashlight Torch Shutter Sound Keychain. 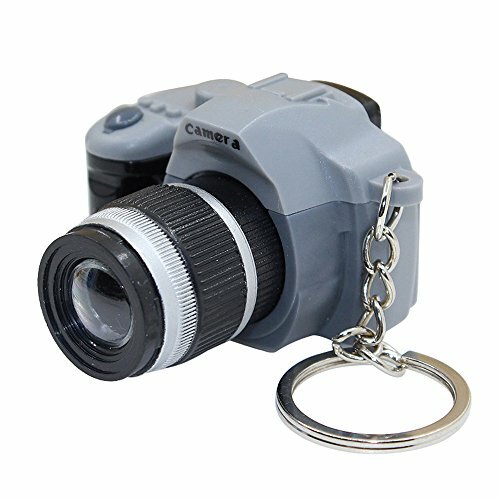 Available in a variety of colors, the keychain brings the iconic sounds of photography to life with its “kacha” shutter sound when the button is pressed! 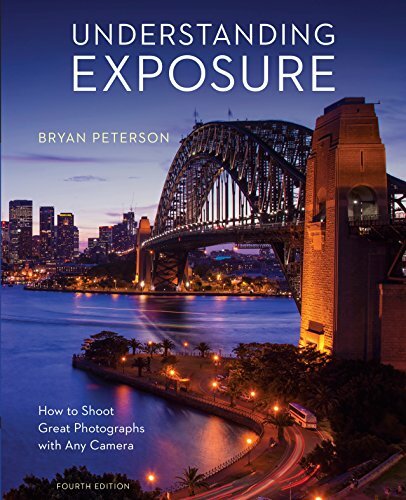 The perfect gift for the photographer who also loves inspiration at his or her fingertips, Understanding Exposure, Fourth Edition: How to Shoot Great Photographs with Any Camera by Bryan Peterson is an excellent addition to any library. Peterson has a stellar reputation as a talented photographer, instructor, best-selling author and founder of The Bryan Peterson School of Photography, all of which make his reference guide a must-have for new photographers just entering the industry and veteran photographers who need a refresher. Don’t Google another photography question without first picking up a copy of Understanding Exposure! 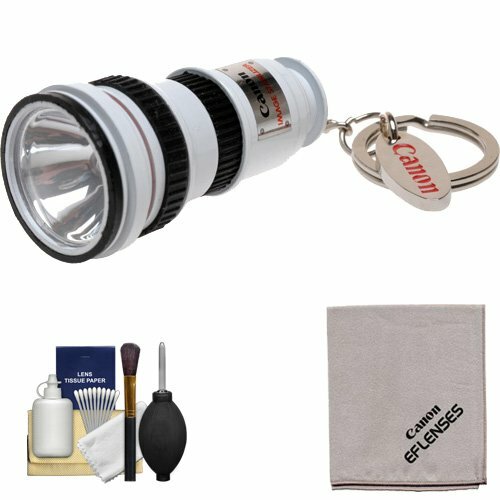 Everyone could use another flashlight but photographers will especially appreciate this Canon OIS Lens LED Flashlight Keychain. Both portable and durable, the flashlight is a 1/8 scale model of a Canon OIS EF-S Lens and offers over 100,000 hours of use. Its twist-head on/off switch makes it easy to use with one hand whether you’re walking the dogs or hiking back to the car from another sunset photography expedition. Don’t forget to add three LR44 batteries to your gift-buying list to complete this cute photography gift! Are you hoping your next meal looks as delicious as the picture in the recipe? 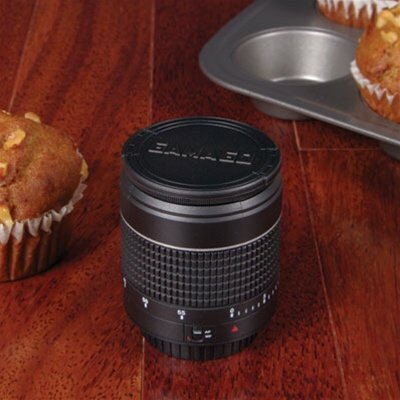 Look no further than the Gamago Telephoto Kitchen Timer to ensure your next meal is right on time! A great gift for photographers of all ages, this unique kitchen timer is perfect for timing your next family dinner whether it’s the meatloaf in the oven or the hamburgers on the grill to the pecan pie for dessert. Don’t cook your next meal without it! 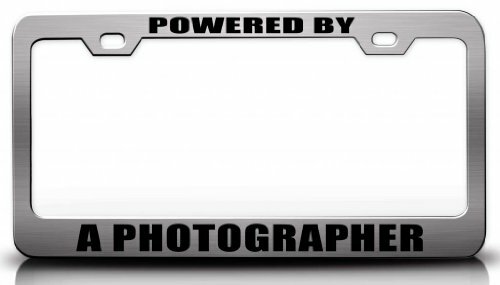 If you’re proud to be a photographer and want to show it, the Powered by a Photographer Career Steel Metal License Plate Frame should be at the top of your list! This high quality stainless steel metal license plate frame comes with a 10-year rust and fade-free warranty as well as a nine-year promise that the lettering won’t fade! Guaranteed to add a touch of pride to your ride, it’s a great gift for photographers in the family, your friends or even yourself. 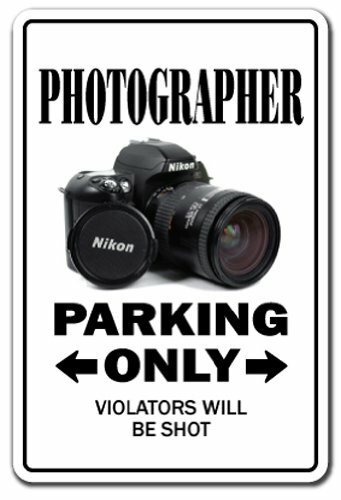 If the license plate wasn’t a nice touch, then the Photographer – Parking Sign Gift is truly a must-have for your favorite photographer! Great for decorating a photographer’s office, the sign features a high-definition graphic perfect for indoor or outdoor use. It’s also quick and easy to hang with pre-drilled mounting holes, not to mention it’s rust and fade resistant! Bring the studio to your table with the Foldio 15” Folding Portable Lightbox Studio. 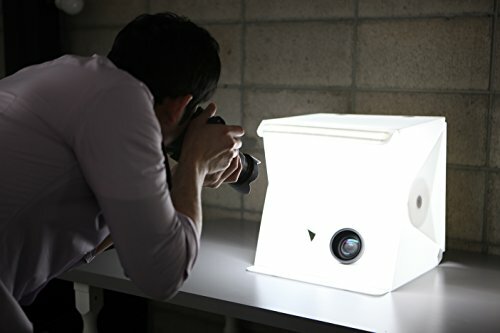 Offering the world’s first portable studio, this Foldio Lightbox Studio offers a new level of possibilities when it comes to photography. Whether you’re using a smart phone or a digital camera, the portable lightbox makes taking high quality photos hassle-free with its incredible design. Compact and perfect for showcasing smaller products, the portable studio plugs into a standard wall outlet and illuminates the 15” box with dual LED strips complete with a built-in dimmer device and diffuser to control the brightness, shadows and reflections. But, Foldio doesn’t stop there! With its own guide and editing features, the Foldio App ensures you’ve captured the perfect images every time! 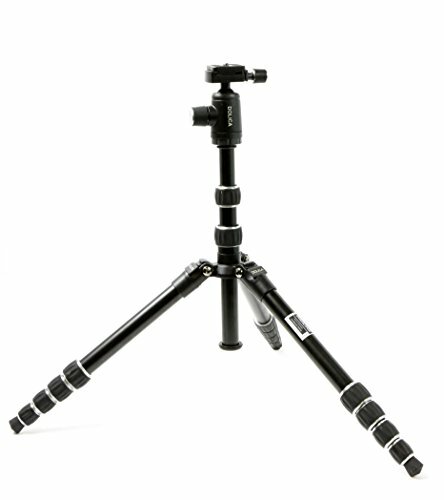 The Dolica 57-inch Reversible Traveler Edition Tripod is one of the most popular lightweight tripods on the market weighing in at 2.5 pounds and measuring 14.5 inches long. 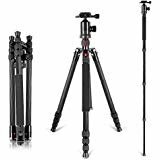 Great for indoor or outdoor photography thanks to its ruggedized feet, reversible legs and added stability, the tripod has a dual center column that serves as a built-in monopod in addition to offering an extended height extension. With a max load of 15 pounds and features like a premium ball head, an integrated level, and rubberized knobs for pan, tilt and quick release, the Dolica Ultra Compact Traveler Edition Tripod is a great gift for photographers needing a multi-purpose and rugged tripod! Photographers can never have too many storage devices, which is what makes the Lexar JumpDrive a perfect gift for photographers. 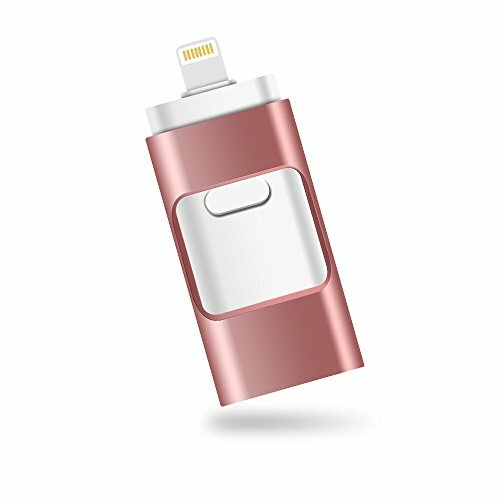 Add memory to your iPhone or iPad by transferring your mobile photos and other files to the Lexar DrumpDrive, which features a retractable two-in-one design and works with a free file management app found in the App Store. Don’t run the risk of losing your precious photos or files when the Lexar JumpDrive can automatically sync and securely store your files with the click of a button! 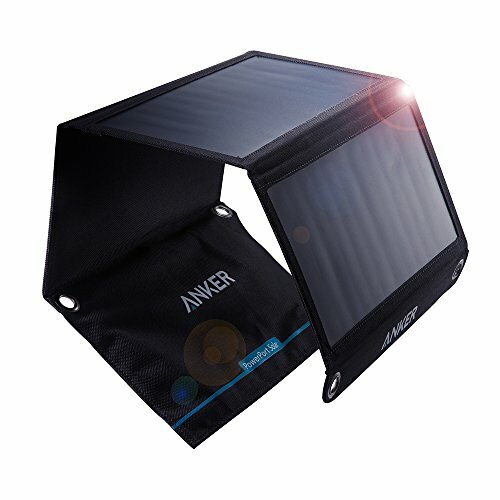 If you’re not one of the 10 million people using the Anker 21W Dual USB Solar Charger, you’re certainly missing out! Delivering the fastest possible charging speed with enough power to charge two devices at once or a single cell phone in two hours, the Anker USB Solar Charger is a great gift for photographers who are constantly on the move as they hike to one spot after next to capture the perfect image. The charger is compact in size, ruggedized and weather-resistant with stainless steel eyelets that allow you to easily attach the corners to your backpack, tent or a nearby tree. Although Anker offers an 18-month warranty and outstanding customer service, we don’t think you’ll need either with this stellar product! Who doesn’t love to show off their photography? 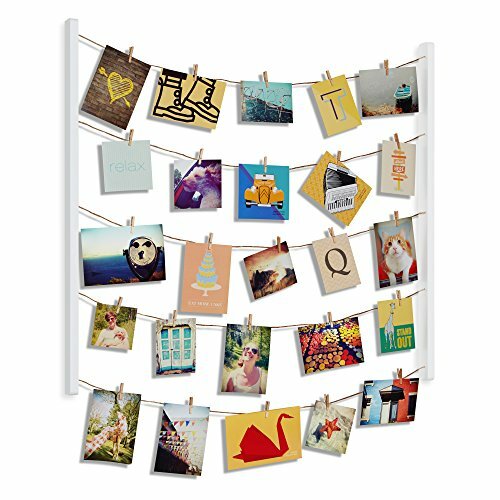 Photos don’t have to get lost in another album or in a file on your hard drive thanks to the Umbra Hangit Photo Display that makes showing off your favorite photographs both stylish and functional. Easy to set up and hang with hardware and a placement template included, the Umbra Hangit display offers endless possibilities for showcasing your latest creations from photos and artwork to illustrations and more. There’s no other product on the market that gives you the freedom to fully customize your photos daily, weekly, monthly—as frequently or infrequently as you like! That’s what makes this beautiful wall display a great gift for photographers looking to add a personal touch to their home or office! A reference tool at your fingertips, the Datacolor SpyderCube works with any light source to measure the light and ensure the camera achieves the perfect colors in RAW processing. Offering relevant light information to make RAW adjustments with ease, the SpyderCube is small and compact enough to fit in your camera bag and even works with RAW converter software! 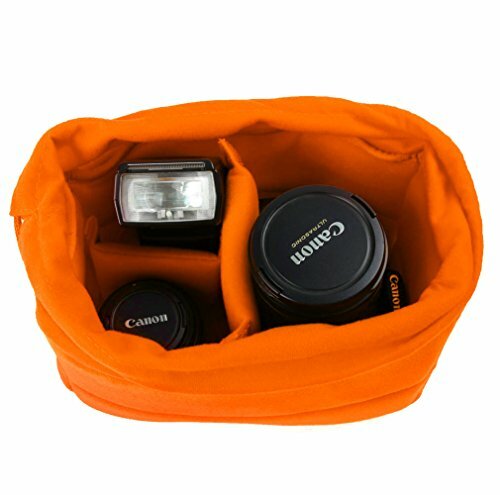 Take your camera bag to the next level with the Koolertron Shockproof Camera Bag Partition. With padding on both the bottom and sides, the Koolertron partition offers four dividers that are perfect for a camera, lenses and small accessories. While the bag is not waterproof, it is water-resistant and is made of velvet and anti-static material to ensure high quality and durability to protect a photographer’s greatest asset—the camera and lenses! So many memory cards, so little room! 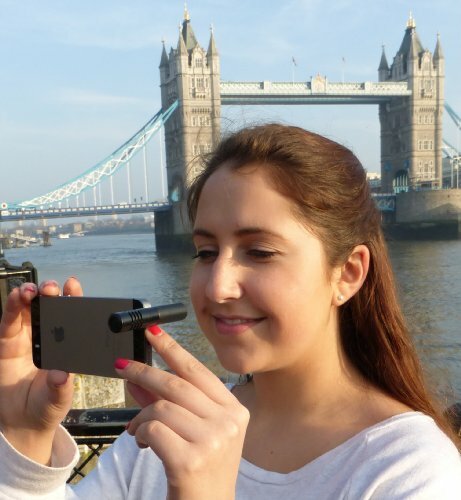 The Think Tank Photo Pee Wee Pixel Pocket Rocket takes the guesswork out of where you’ve stashed your memory cards! Easily carried in a pocket, worn on a belt, or attached to clothing or bags, the compact Pocket Rocket is another great gift for photographers. It offers a business card holder for quick identification as well as storage for four compact flash cards and three secure digital cards. Say goodbye to lost memory cards with the Think Tank Photo Pee Wee Pixel Pocket Rocket! If you’re looking to unlock the potential of your camera, look no further than the Ring Filter Stepping Adapter. 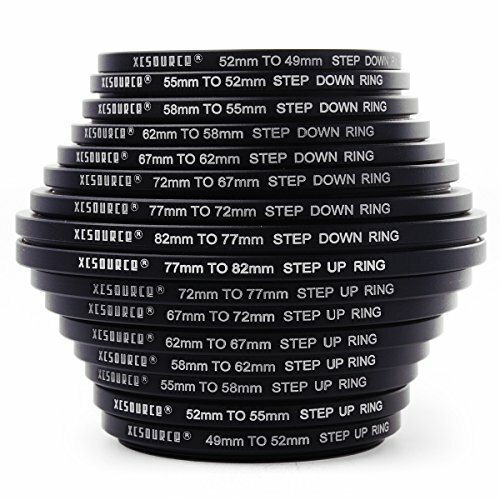 Made of high quality black aluminum, the adapters tightly screw onto the front of any lens and convert the lens’s original thread size into one that matches other accessories like lens converters, flashes and hoods. Guaranteed not to wobble or cross-thread, the adapters are solid, lightweight and range from 49-82mm and 82-49mm. Bringing photography to life at the click of a button, the Fujifilm Instax Mini Instant Film Camera offers a modern take on instant cameras. 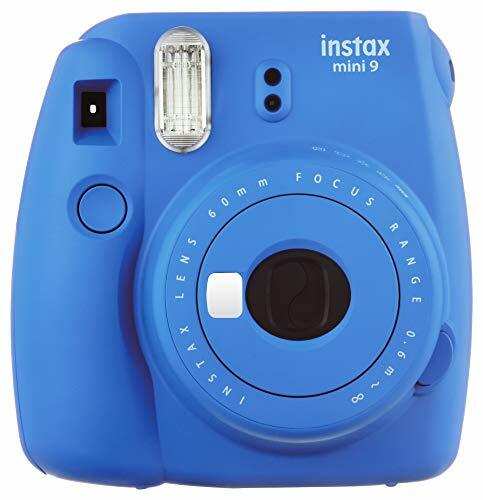 Coming in an array of colors like flamingo pink, lime green, ice blue, smoky white and cobalt blue, the Instax Mini offers a variety of features like the selfie mirror, close-up lens, automatic exposure measurement and aperture settings, and a high-key mode that allows photographers to take brighter pictures, which is perfect for selfies and portraits. Make your selfie game stronger with the Fujifilm Instax Mini Instant Film Camera. One of the best gifts for photographers is a sturdy tripod like the Pedco UltraPod II Lightweight Camera Tripod. 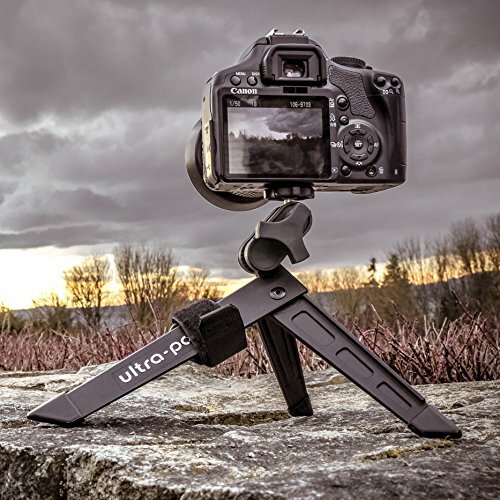 Living up to its name and its reputation as one of the most compact tripods on the market, the Pedco UltraPod II offers fold-out legs and non-slip feet with a removable D-ring VELCRO cinch strap that makes it easy to secure it to sturdy objects like railings, fence posts and even tree limbs. 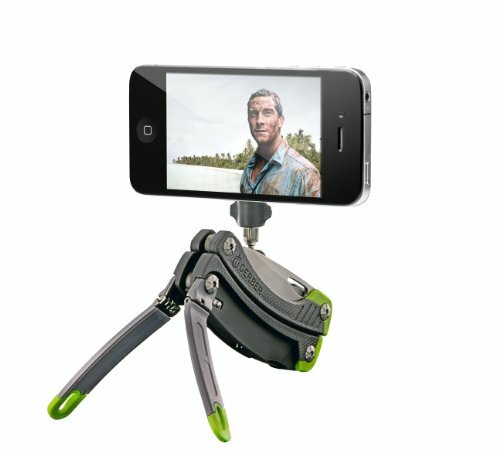 Weighing only 4 ounces and measuring 7 inches in length, this is a must-have for photographers who like to travel light! 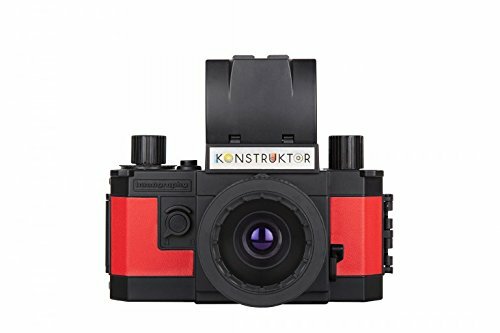 Combining the basics of film and SLR from the ground up, the Lomography Do-It-Yourself 35mm Film Camera is the first of its kind – a camera you can build yourself. Packed with features like a top-down viewfinder, detachable lens, multiple exposure function, and a bulb setting for long exposure, the Lomography package breaks down the components of photography in a kit you can proudly build yourself and use to take exquisite pictures! One of the best gifts for a photographer who enjoys capturing life as it happens is the Polaroid LCube Lifestyle Action Video Camera. Proving that the best things come in small packages, the LCube stands at 1 cubic inch in size and supports up to 32GB Micro SD cards, which means it’s ready to take on your next adventure! 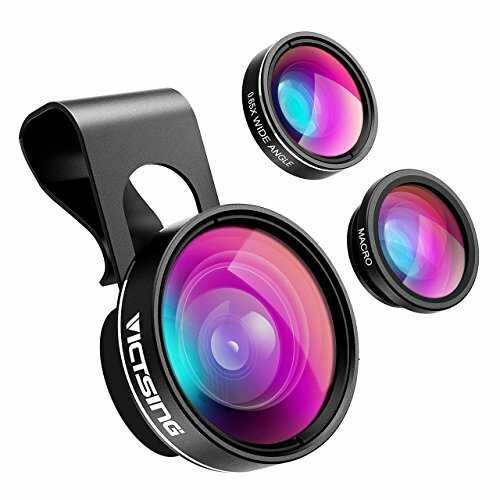 Weatherproof and shockproof, it offers a 124-degree wide-angle lens with a mounting magnet perfect for attaching to any metal surface while you’re hiking, biking, surfing, or hanging out at the beach! While the camera itself is awesome, the accessories are even better and include a Helmet Mount, a Monkey Mount, a Waterproof Case, a Suction Cup Mount, a Bike Mount, a Tripod Mount, a Strap Mount and a Bumper Case. See? 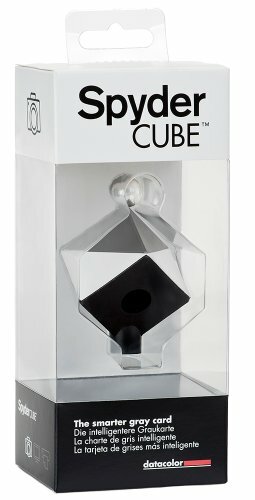 You really can take the Polaroid LCube anywhere! Built for comfort with its wide seatbelt style and extra padding, the Peak Design Slide Camera Strap is the perfect multi-functional strap for photographers. Praised as the most versatile camera strap in the world, the Peak Design strap works with any camera and can be reconfigured and worn as a sling strap, a shoulder strap or a neck strap in seconds. It’s ARCA-compatible tripod plate is an added feature as well as it durable aluminum quick-adjust handles and Dyneema anchors that are weight-tested for over 200 pounds! 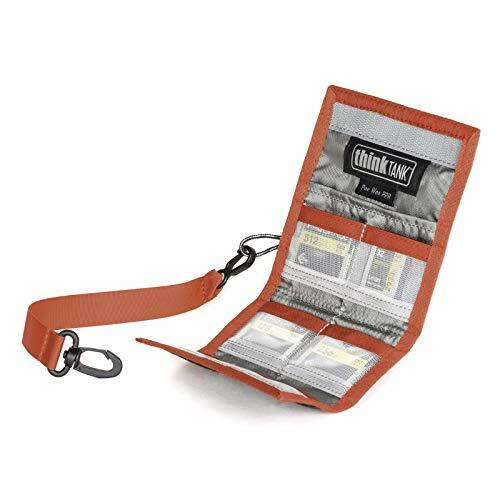 While we doubt you’ll ever carry 200 pounds around your neck, the Peak Design Slide Camera Strap certainly holds its weight as one of the best straps on the market! One thing photographers can’t control is the elements and that’s why the Peak Design Camera Rain and Dust Cover is one of the best gifts for photographers. 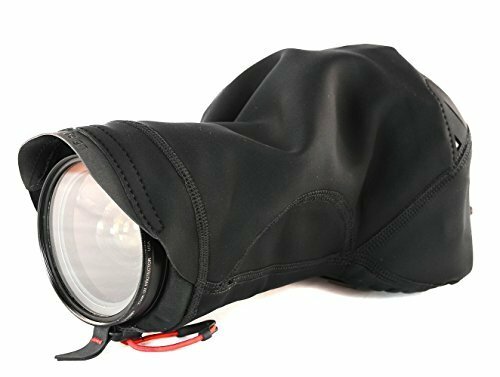 The ultralight, stretchable, form-fitting rain and dust cover is available in three sizes and does wonders at protecting your camera from the elements whether its’ snow, dust, water or abrasion. Its unique anchor points are also compatible with the Peak Design Camera Strap, which makes this a perfect add-on to the gift listed above! At the top of every photographer’s wish list—next to cameras, lenses and accessories—is more memory to store their photos, which is exactly what you’ll get with the WD My Passport Portable External Hard Drive. 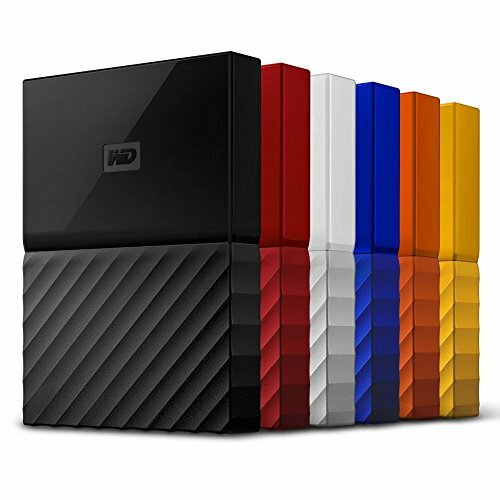 Offering the utmost in storage under the Western Digital brand, the My Passport is available in four sizes—1TB, 2TB, 3TB, and 4TB—and is compatible with standard operating systems. It features auto backup with the WD Backup software as well as password protection and hardware encryption. Also available in a variety of colors, the My Passport is anything but a bulky hard drive and can fit in the palm of your hand, which makes it ideal for photographers who are constantly on the go! 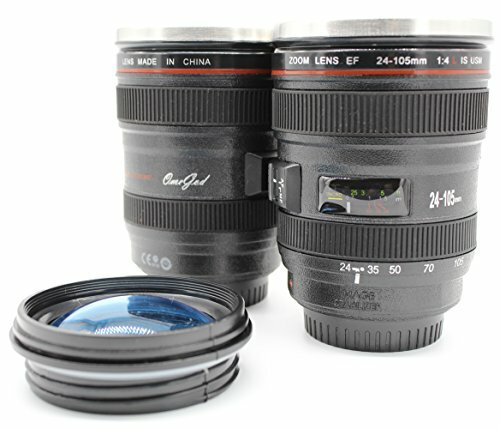 From practical to novelty gifts, this Stainless-Steel Travel Coffee Mug version of the Canon 24-105mm is a fun gift for photographers of all ages. Made to scale with attention to even the smallest detail, this 12-ounce travel mug promises to keep your hot drinks hot and your cold drinks cold as you enjoy beverages in style. 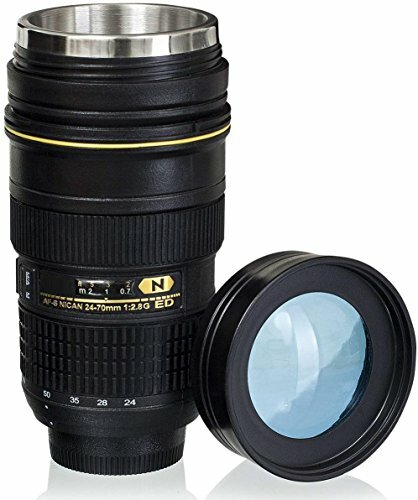 Nikon lovers aren’t left out of the coffee mug craze with this Stainless Steel Travel Coffee Mug of the Nikon 24-70 mm. Also made to scale with a stainless-steel interior, the 16-ounce Nikon Travel Mug includes a 24-month warranty but we’re certain there won’t be any need to send this conversation piece back as you sip in style from one of the most unique gifts on the market! Another must-have gift for photographers wanting to dive into the world of time-lapse images, the X-Lapse 360-Degree Photography and Time Lapse accessory leaves no question when it comes to creativity. 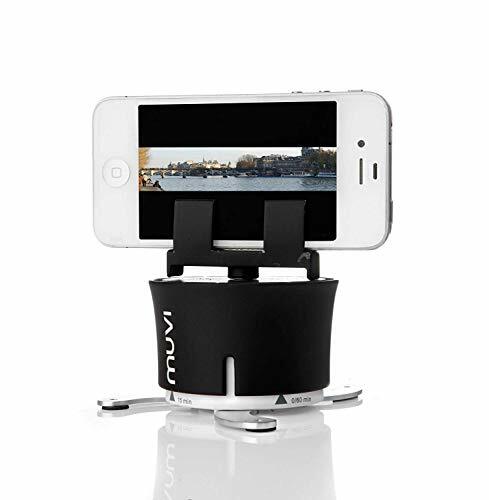 Complete with male and female threads for mounting as well as iPhone and smartphone holders, the X-Lapse accessory creates anywhere from 90-degree to 360-degree sweeping time-lapse films and panoramic pictures. With fold-out feet to support heavier cameras, it really is the perfect accessory for your panoramic and time-lapse needs! The perfect bag for everyday use, the Manfrotto Allegra 15 Messenger is stylish, comfortable and functional. 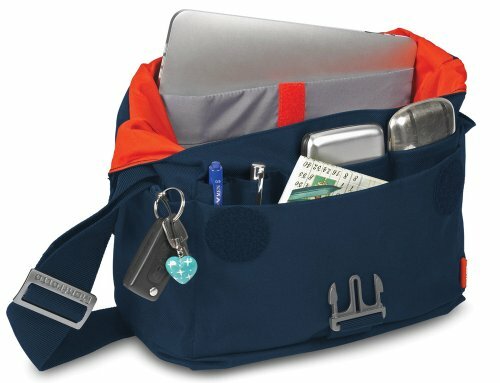 It offers plenty of room for your camera and lenses in its dedicated thermoformed vault as well as discreet pockets that line the interior, which are ideal for your personal gear, cords, accessories, memory cards and more! The padded inner pocket will even fit a 10-inch laptop or tablet, which makes this the perfect gift for urban photographers who rarely stray away from their smart devices! Undeniably one of the most versatile lenses on the market, the Olloclip 4-in-1 Lens for iPhone might be small enough to fit in the palm of your hand, but it certainly packs a punch. Offering four lenses in one compact design, the fisheye lens gives a 180-degree view and the wide-angle lens doubles the field of view while the 15x macro lens focuses up to 12mm and the 10x macro lens focuses up to 18mm. The Olloclip 4-in-1 Lens truly is the perfect addition for the photographer who loves using his or her iPhone to capture life’s biggest and smallest moments! With photography quickly expanding from film to DSLR and mirrorless cameras to even smartphones, the Joby Magnetic Tripod is keeping up with technology thanks to its design for point and shoot cameras, video cameras and smartphones. Built with stability in mind, the Joby tripod features sturdy, magnetic feet that hold it securely onto any metal surface with flexible bubble legs that offer additional security. Its lock ring ensures your camera is safely attached regardless of where your next adventure takes you and its lightweight design at only 0.3 pounds guarantees you’ll take it everywhere! Leaning more on the practical side when it comes to the best gifts for photographers is the Altura Photo Professional Cleaning Kit. Like every smooth-running car needs its oil changed and tires rotated, every camera needs to be cleaned. 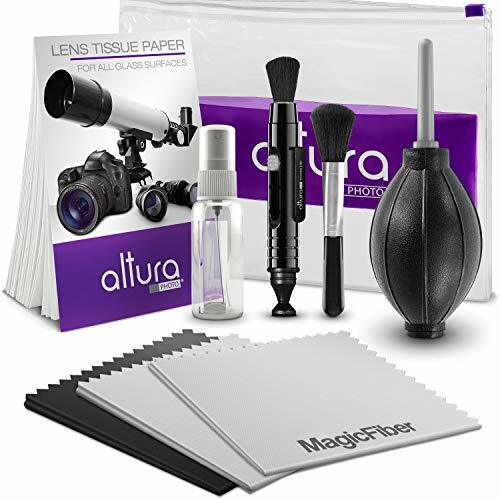 Considered a toolbox of essentials, the Altura Cleaning Kit contains hand-selected tools and materials to clean your camera including a high-quality lens brush, a lens cleaning pen system, an air blower cleaner, lens tissue paper, a spray bottle, and three premium microfiber cleaning cloths. As if the kit itself wasn’t a great deal, it even comes with a 90-day, 100% satisfaction guarantee! Whether your favorite photographer is a coffee-lover or a tea-drinker, this Retro Camera Shaped Mug is a cute gift for the photographer in your life! 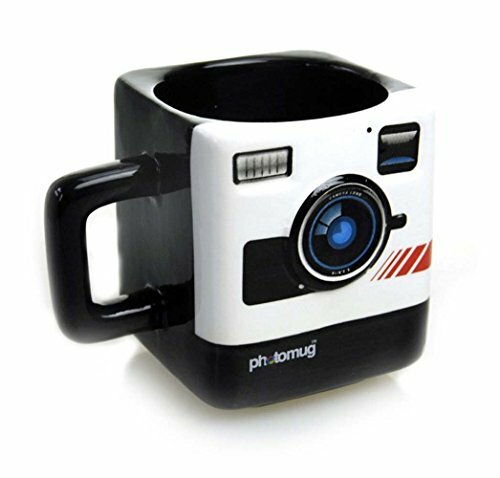 Truly a blast from the past with its retro camera design, this mug is great for photographers who enjoy sipping in style as they work to meet their next deadline! Shake no more with the Portable Camera Handheld Stabilizer! 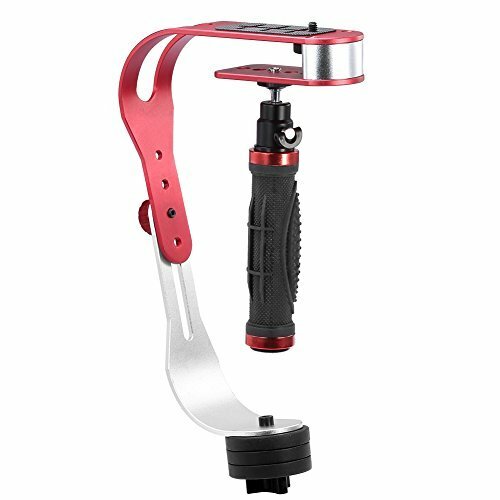 Built with photographers and videographers in mind, the Handheld Stabilizer is professionally designed and made of high-quality aluminum. Easy to operate, it has three counterweights that eliminate motion and vibration while providing 360-degree all-round stable shooting for photographers and filmmakers looking to expand their talents and creativity! 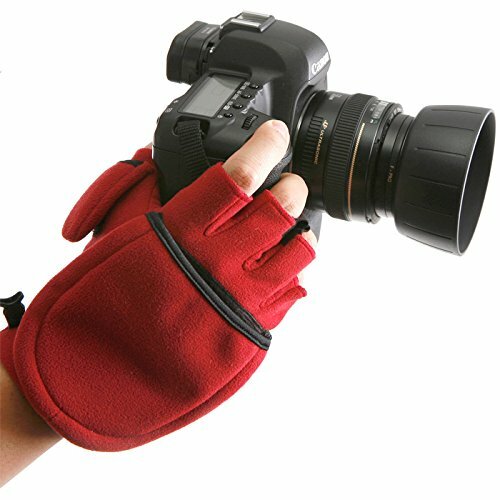 Say goodbye to cold hands with the Matin Multi-Shooting Gloves Mittens for Pro Camera Photographers. Warm and comfortable, the mittens are a perfect gift for photographers who shoot in cold climates since the finger flaps quickly fold back and the slip resistant pad palm ensures a firm grip. The quick release makes it easy to keep the gloves together when they’re not being worn and, depending on the climate, photographers can even wear form-fitting gloves underneath to add even more warmth! The multi-tool every photographer needs, the Gerber Steady Tripod Multi Tool is both a multi-tool and a tripod with 12 different functionalities. The tripod is one of its biggest functions with a pair of foldable legs as well as an adjustable cell phone and screw-in camera mount. Beyond that, Gerber added in their standard tools with a knife, serrated blade, three screwdrivers, pliers, wire cutters and a bottle opener. Measuring only 4 inches when closed and weighing just under 6 ounces, this is a great gift for photographers to have in their camera bags! While your iPhone already comes with a great camera, the AmpRidge MightyMic S iPhone Shotgun Video Microphone does the hard work of boosting your smartphone’s audio! Small in size, the AmpRidge is a high-quality condenser mic that plugs into your phone’s headphone jack. After you connect your headphones to the jack on the back of the mic, you can record audio using the GarageBand App or you can add sound while recording a video. It’s that simple! 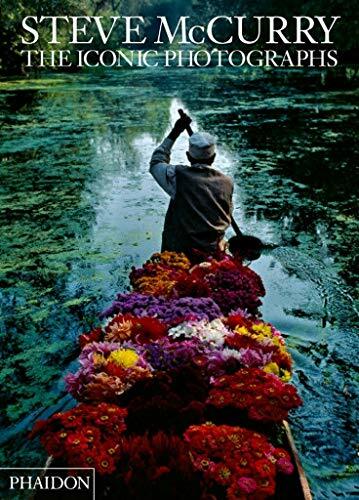 Steve McCurry has built his reputation as one of the most talented photojournalists in the industry after launching his career in Afghanistan decades ago disguised as a native. Winning the Robert Capa Gold Medal for his stellar work and outstanding courage, he’s traveled around the world with Steve McCurry: The Iconic Photographs showcasing some of his greatest work in Southeast Asia, Africa and Europe. With the first edition limited, The Iconic Photographs is a timeless gift for photographers who are always searching for new inspiration. 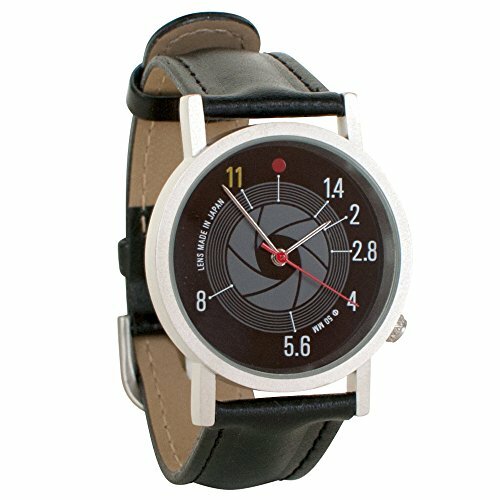 The F-Stop Photographer Unisex Analog Watch is a functional blast from the past with its 35mm diameter face that ignites memories of F-stops and apertures. The genuine leather band adds an elegant touch with the watch shipped in a gift box that doubles as a display case. Amazon also provides a two-year warranty on top of the manufacturer’s one-year warranty. With the batteries already in it, don’t waste any time when you get this in the mail! After all, it’s already a half-past F11! Another great novelty gift for any photographer, the Shoot Manual Camera Buff Photographer Lovers T-Shirt comes in a variety of colors and sizes. 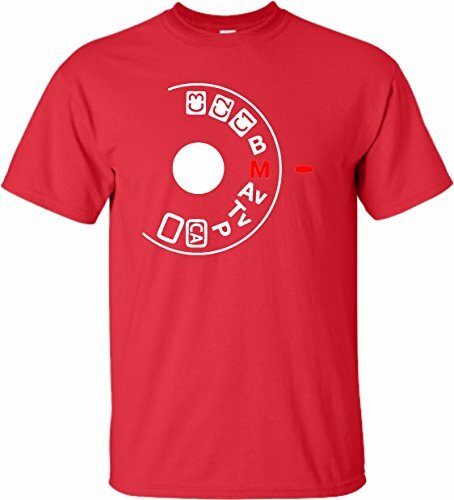 Extremely comfortable with its 50/50 blend of cotton and preshrunk poly, the Shoot Manual t-shirt is a conversation starter and is a sure sign of amateur and veteran photographers who just might or might not understand the joke! 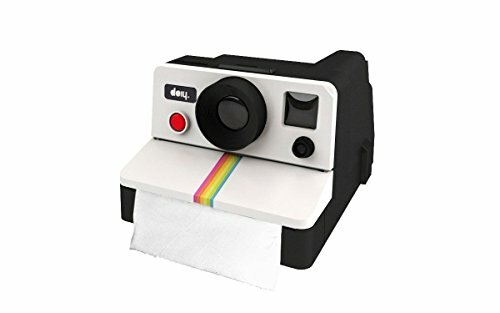 Polaroid moves into the bathroom with the Polaroll Camera Toilet Paper Roll Holder. 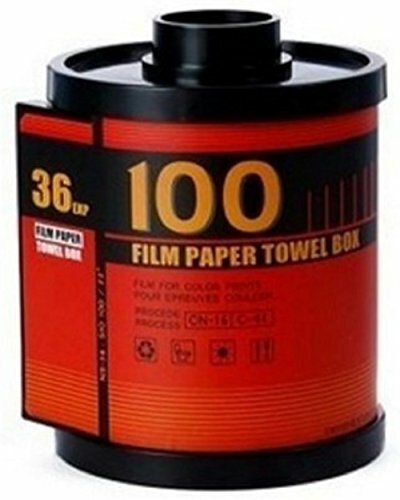 A fun gift for photographers, this is one of the coolest toilet paper rolls on the market and offers a great 1980’s retro design. Built to hold a roll of toilet paper, the Polaroll easily mounts to the wall with the included hardware and is certain to spark conversation, if not a few lighthearted chuckles from family and friends! 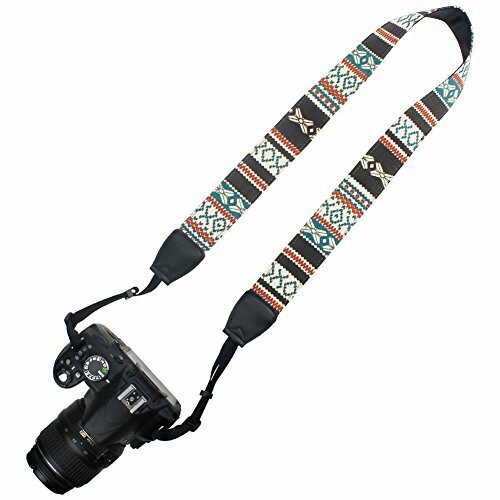 Offering style and function, the Elvam Camera Neck Shoulder Belt Strap is a great gift for photographers who want to add both comfort and a splash of color to their gear! 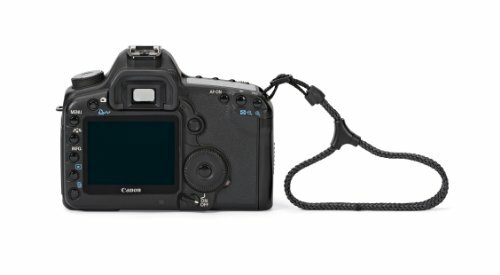 Made of high-quality cotton canvas, the strap features webbing, nylon and plastic fasteners with universal connectors that make it compatible with major camera brands like Canon and Nikon. 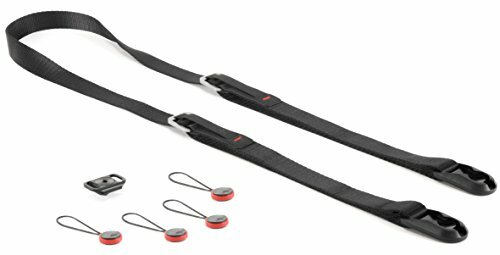 The strap is also adjustable and comes with a satisfaction money-back guarantee, which makes it a tough deal to pass up! 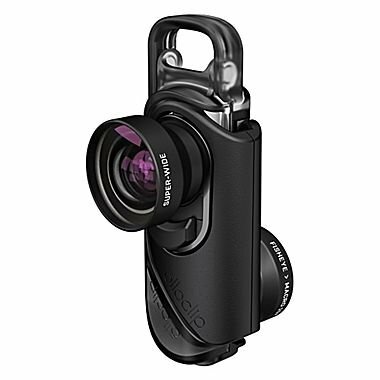 Another great accessory for your smartphone, the Clip-on Cell Phone Lens 3-in-1 Camera Lens Kit is a perfect gift for photographers who use their smartphones to capture their everyday lives! The three-in-one detachable lens includes a 0.65x Super Wide-Angle Lens, an enhanced 15x Macro Lens and a 230-degree Fisheye lens. Complete with a universal clip, cleaning cloth, microfiber bag and a protective case, the 3-in-1 Camera Lens Kit promises a 45-day money back guarantee and a 12-month replacement warranty with lifetime support. Monopod has the copytext for Eye-Fi. Bag Insert has the copytext for Cube HD.